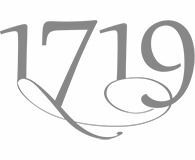 Tasting review by 1719 Cognac: A bold and zesty white spirit. A very real alternative to gin or vodka. The actual building that is the heart of this ancient Cognac house had its foundations laid in the year 1719. The founder was Pierre Phillipe Joubert, who began a family tradition that has continued to be adhered to over four centuries. Back then, and still true today, 1719 Cognac is all about creating exceptional Cognacs of truly high qualities, and that showcased some very unique aromas. Today the ethos of the house remains as steeped in tradition as it always has. Every Cognac produced is a Grande Champagne delight, with no blending of those with different ages or from different estates. But make no mistake, this is a house with it's hand firmly in the 21st century. The cellar master today, Jean Phillipe Boulay, takes full advantage of the exceptional selection of very old Cognacs that are contained within the cellars of 1719 Cognac. The house concentrates on creating truly old, extraordinary Cognacs. They showcase Cognacs of 30, 40, 50 or more years of age, each unblended and from a specific year's harvest. Their Genesis XO Collection is very interesting - created specifically for high end hotels and restaurants, it combines XO Cognac with unique sculptures. One of the most innovative activites of the house is that they used crown sourcing to fund their latest product - Wild. This eau-de-vie-de-vin is truly aimed at the hyper-trendy crowd, and this clever advertising and fund raising proved to be a huge success. In addition to Cognac, the house also showcases a range of Pineau des Charentes. They also offer a completely organic VSOP Cognac. Their products have been awarded medals at some of the industries top competitions. These include the Concours General Paris, the International Spirits Challenge, and the International Wine Challenge. There is no information available about visiting the hosue of 1719 Cognac. Please contact them directly if you wish to do so.